39 inches. 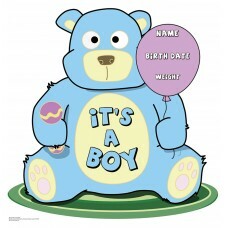 Our cardboard cutout of It s A Boy Teddy Bear. Items are printed and produced to order. P..
39 inches. 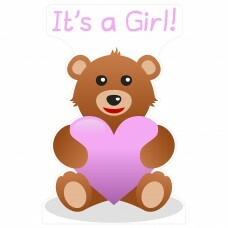 Our cardboard cutout of It s A Girl Teddy Bear. Items are printed and produced to order. ..
60 x 39 inches. Our cardboard cutout of Its a Boy Teddy Bear. All cardboard cutouts come folded and ..
60 x 39 inches. 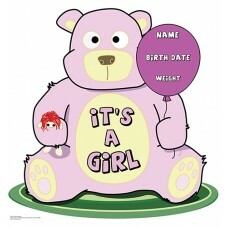 Our cardboard cutout of Its a Girl Teddy Bear. All cardboard cutouts come folded and..
54 inches x 34 inches Stork with a Baby Boy Cardboard Cutout . 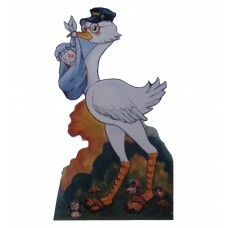 This Cutout is of a Stork that is tur..
54 inches x 34 inches Stork with a Baby Girl Cardboard Cutout . This Cutout is of a Stork that is tu..